This is an update from a post in 2014. It is now June 2015 and with yet another shooting in the news, the debate is again raging about gun control. With each shooting or killing the relevant question is certainly asked as to “what caused the action?” and “how could it have been prevented?” We all want to stop crime and violence but we must balance a number of issues. Irrespective of political leanings or other aspects, to get to the heart of the issue it is important to understand the “cause” of the event. Many gun control advocates posit that guns are the ’cause’ of the murder. With this in mind let’s take a look at the concept of causality. The simple term “cause” can be deceptively complex to understand and apply. The application becomes much more difficult when applied to social issues and events where ambiguity, subjectivity, and moral and ethical aspects must be considered. While the concept of cause and causality has been studied and debated by philosophers for millennia a commonly accepted definition is still not found. It was Virgil who, in Georgics 2 in 490 said: “Felix qui potuit rerum cognoscere causas” or “blessed accomplishment theirs, who can track the causes of things”. 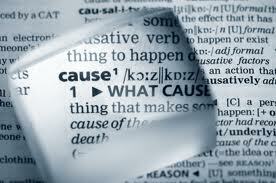 [i] The difficulty of defining the concept of “cause” is familiar to those with an interest in philosophy or science. Without becoming a primer on the intricacies of the debate, suffice it to say that cause, like security, is necessarily contextual in nature. Within the context of Victimology, it is important to understand the distinction between identifying what a person emotionally or philosophically believes is a ‘cause’ of an event that impacts a victim and the philosophical and legal concepts of ‘cause’ as they applies to a crime. Posted by Chris Mark in cybersecurity, Industry News, InfoSec & Privacy. In reading the Ponemon/Boomberg report on the costs of cybersecurity, I was shocked to see that companies would need to increase spending 700% to achieve 95% protection. In reading closer, I was even more shocked to see that financial services companies would need to increase spending over 1,270% to achieve 95% protection. Of the 48 financial services firms surveyed the average annual security investment was $22.9 million. To achieve the 95% goal, security investment would need to increase to $292.4 million per year. You can see the results in an interactive chart here. 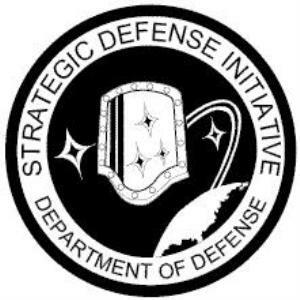 As stated in my previous post: “CyberSecurity Cold War; Spend Ourselves Into Oblivion”, it is obvious that companies cannot increase security investment 11 fold or even 7 fold. There must be a better answer.